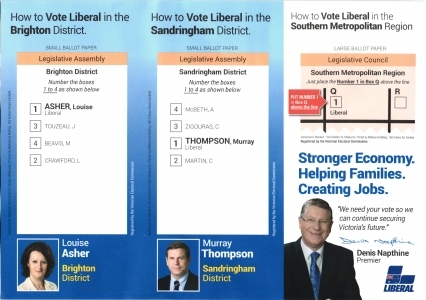 Delivered in Brighton on Wednesday, 21 January, 2015 (approximate), during the Victorian State Election 2014. Uploaded on Wednesday, 21 January, 2015 at 12:02. If someone has uploaded something other than an election leaflet please report it here.